Friday morning, Marvel shared another teaser for its forthcoming third season of Daredevil. This follows a trailer from last week in which the titular character promises to make a return; almost in answer to that comes a new teaser featuring series-favorite villain Wilson Fisk (Vincent D’Onofrio). In his 30-second teaser, Fisk goads the Daredevil into returning. He echoes the season’s motto: “Let the Devil out.” Coming out of his time in prison, Fisk is more impassioned than ever. The majority of the teaser is devoted to a monologue outlining how Daredevil has taken everything from him. Now, unbridled by his love for his city or his girlfriend, Fisk is ready for a comeback. Whereas his previous portrayals juxtaposed his crimes with those feelings, there’s nothing holding him back now. 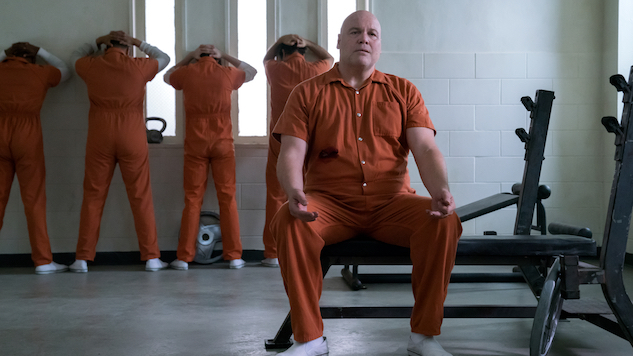 Get ready for Fisk’s return with the season three teaser below. Daredevil hits Netflix on Oct. 19. See everything else coming to the service next month here.